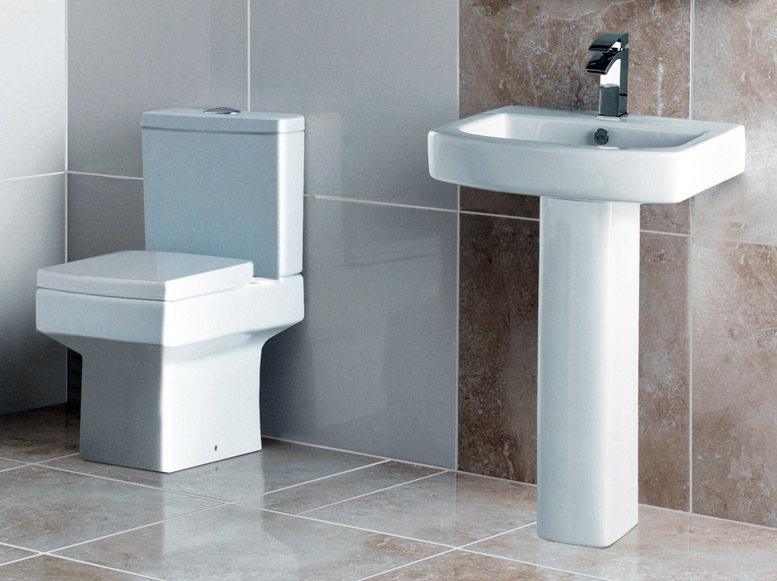 Embrace Cloakroom Toilet & Basin Suite - Only £194.99! In stock now for just £194.99 including VAT! Hurry while stocks last! 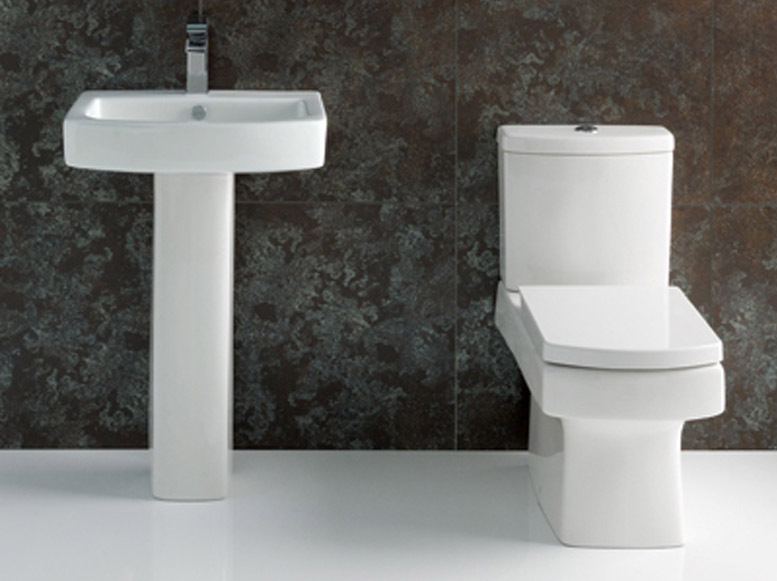 The Embrace Cloakroom Toilet & Basin Suite has a memorable cubic style which makes it perfect for any modern bathroom. With striking, bold edges it has a minimalist design which really makes it stand out from the crowd. 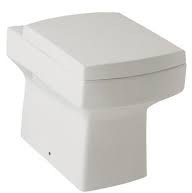 The angular lines of the Embrace toilet make it especially contemporary and stylish. This is a perfect basin for anybody looking to either refurbish their existing bathroom or fitting a new installation. Many modern homes feature cloakrooms or ensuites as standard, limiting the amount of room available, meaning that sometimes the traditional full bathroom suite simply is not an option. VIP Bathrooms have solved this with the below range of Basin & Toilet Sets, containing a WC Pan, Toilet Seat, Basin and Pedestal. Also known as the 4 Piece Pot Pack, these provide an effective all-in-one solution, while providing big discounts compared to buying these items separately. At VIP Bathrooms we pride ourselves on offering a range of cloakroom suites / 4 piece pot packs that are of the highest quality and standards. Whether you seek a modern design set featuring sleek lines and a quality finish, or a traditional and classical style set which exudes timeless elegance, you will find it here at VIP Bathrooms, and at an extremely competitive price. 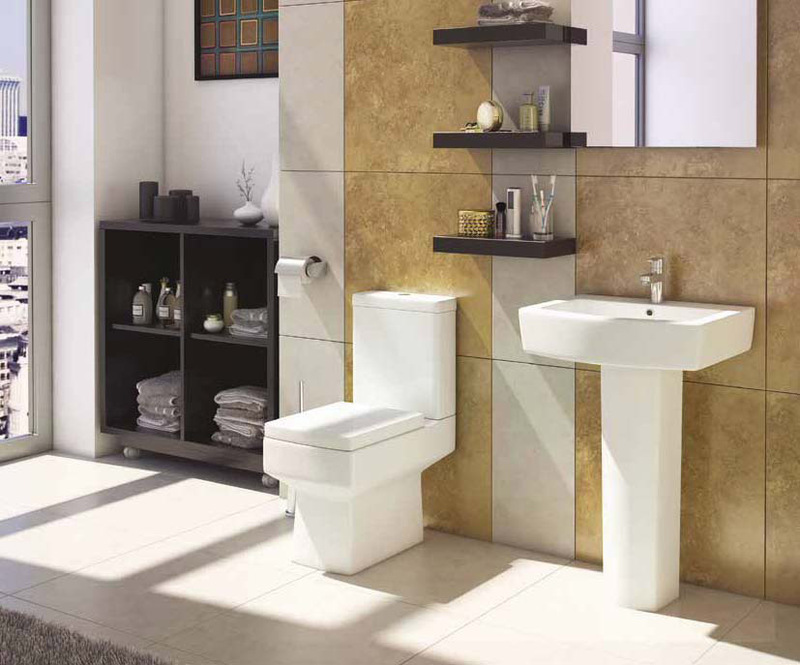 Do you only need the Embrace Basin & Pedestal? You can purchase the basin and pedestal featured in this set on it's own for a highly competitive price - click here. Do you only need the Embrace WC? 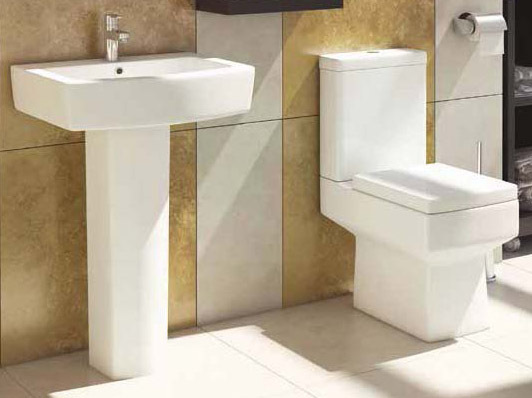 You can purchase the toilet set (featuring a close coupled pan, close coupled cistern and soft close seat) separately from the basin - click here.